Our Father in Heaven wants us to be happy. And yet, we all have times of trouble. As Elder Jeffrey R. Holland writes, "One of the unfailing facts of mortal life is the recurring presence of trouble . . . When these difficult days (and nights!) come—and they will—it will help us to remember that 'it must needs be,' that in the grand councils of heaven before the world was, we agreed to such a time of challenge and refinement. We were taught then that facing, resolving, and enduring troublesome times was the price we would pay for progress. And we were committed to progress eternally." A large percentage of the psalms that appear in the Bible were written for such times of trouble. From petitions for relief to acknowledgments of God's power, these psalms provide comfort, perspective, and spiritual solace when we are going through our own trials. In this tender book, Elder Holland explores dozens of scriptural passages from the psalms, offering personal ideas and insights and sharing his testimony that "no matter what the trouble and trial of the day may be, we start and finish with the eternal truth that God is for us." Elder Holland's reflections on the psalms provide a powerful witness of that comforting truth. I just wish I could buy everyone I love a copy of this book and even more the dvd. It's so comforting, and beautiful, I cried through most of it, as did the audience and often Elder and Sister Holland. It's so tender. Scripture is quoted and then Elder Holland gives no-nonsense, plainly written counsel based on the scripture. I've been using it as a workbook - reading the entire chapter of Psalms as well as additional scriptures listed in the footnotes of the book as well as the Scriptures, and then writing down any impressions I receive. And the DVD that comes with the book us a great bonus. I highly recommend this book for whatever stage of the road to eternity you are on. This book is worth the price for the DVD alone...it is simply beautiful! Enjoyed the book...but "LOVED" the DVD. It is a full two hours filled with beautiful spiritual advise. I sat writing, and crying all the way through!!! 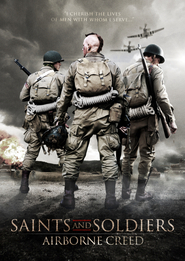 Have already watched it twice...and I am sure will watch it many more times. The messages inspire you to trust the Lord, and carry on! Have you ever wished that you could jump into the study journal of Elder Holland? This is book is for you! For the discouraged and the broken-hearted, For times of Trouble (FTOT) offers a breadth of consoling messages expressed with the clarity and power that only an Apostle of the Lord could convey. 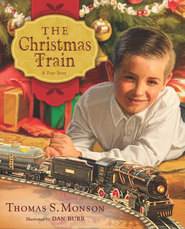 I read this book cover to cover, jotting notes, making comparisons and seeing the Savior in every syllable. 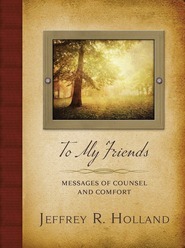 Truly there are messages and helps,both written and unwritten in this wonderful edition from Elder Holland. Please note that I have yet to mention the DVD. This resource is a marvelous breath of fresh air. Often I've wished for the chance to sit at the feet of the Apostles and just learn, and glean, and feast on their wisdom and insight. THIS IS YOUR CHANCE! Like others have said, the DVD is worth the price alone but you would be remiss not to enjoy both the book and video! Enjoy! I feel so blessed to have wonderful books and other sources of media to enrich our lives. The gospel is uplifting in these times of trouble and what better timing for Elder Holland to address some of our concerns! The dvd left me crying as I watched Elder and Sister Holland speak so graciously to their guests (and me). This was so amazing that I want to share it with everyone. This is a hard world we live in and I think we all face troubling times. While many of our circumstances are different we all crave help and support from our Heavenly Father. 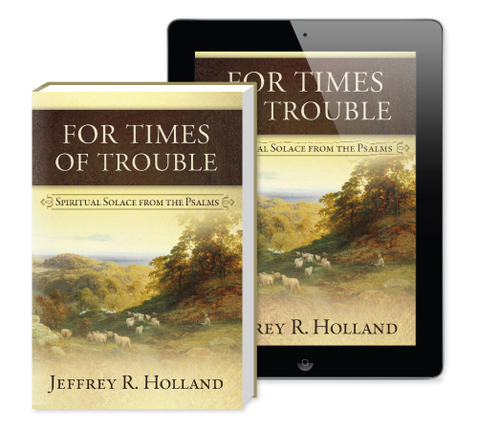 In this new book, For Time of Trouble: Spiritual Solace From the Psalms, by Elder Jeffrey R. Holland he shares with us how to find peace through the scriptures, specifically the Psalms. Historically the Psalms have been classified as prayers and pleadings with God for His help in times of trouble and protection in times of distress. The Psalms are filled with passages that offer courage, compassion, strength and hope. Over 75 Psalms are broken down, verse by verse, concept by concept. 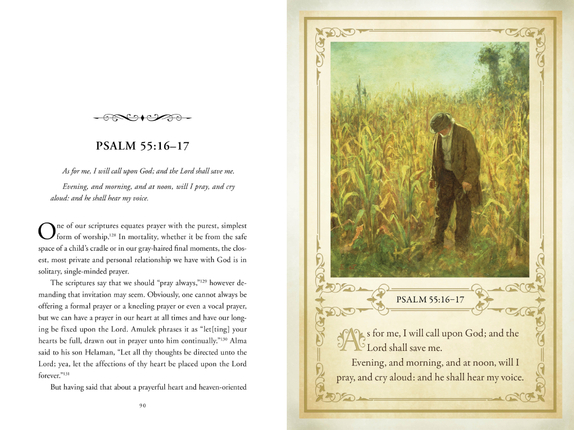 Elder Holland shares his insight and wisdom into each Psalm offering encouragement to the reader and hope for the weary. 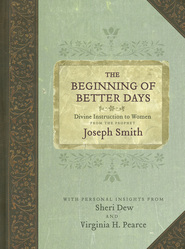 His reflections on the psalms provide a testimony that God loves us and we can seek Him and find Him in the Psalms. With lovely pictures scattered through out the book you can read this as a devotional, read it like a novel, or read it in times of trouble. In the preface Elder Holland says, "the entries are primarily meditations, they are my thoughts alone...the book is more devotional in nature than comprehensive in its commentary." As such, it wasn't written with heavy doctrine or outside references and I really liked it that way. 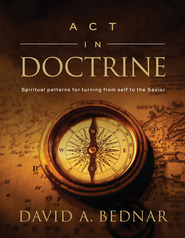 There is time enough for heavy doctrine but Elder Holland has written this book like he was sharing his testimony of the Psalms with a dear friend. I could feel his love for us on every page. One of the best parts of this book is that it includes a DVD with 2 hours of Q & A from a live audience where Elder Holland, in his quiet way, addresses the challenging issues of our day. I LOVED IT! I haven't even made it to the book yet, the DVD is so good - I've watched it multiple times and learn something new each time. I can't wait to start reading. Elder Holland truly is called of God and teaches some very simple yet true points that can help anyone no matter what they are challenged with. I highly recommend picking this one up! There should be a copy in every home. I've read a lot of really great books the past year, but I think the combination of this book and DVD far surpass all the others. In his signature way, Elder Holland weaves the daily struggles and pains that we are currently facing in a beautiful tapestry combined with the peaceful poetry of the scriptural psalms. There is a depth and love focusing on the eternal gift of the Savior's Atonement, that pushes you to search the deepest parts of your testimony and your soul and ask the question, "Do I 'really' believe in Jesus Christ?" and "Is this gospel really true?" and "Does he really know me and know my pain." I strongly recommend this book combination to every reader. And don't skip the DVD. I've already watched it 3 times. There is such a sense of love you can feel from Elder Holland as well as the love he knows the Saviour has for each of us individually. So grateful for his sensitivity to compose this book/dvd/e-book for these hard times and recognize how individual our struggles are yet convey's the intimate love the Lord feel for every one of our needs. "When difficult days (and nights!) come-- and they will-- it will help us to remember that 'it must needs be,' that in the grand councils of heaven before the world was, we agreed to such a time of challenge and refinement. We were taught then that facing, resolving, and enduring troublesome times was the price we would pay for progression." So starts this new book from Elder Jeffrey R. Holland where he helps us find spiritual solace from the Psalms. Each chapter is only a page or two long so it is easy to read and then ponder. 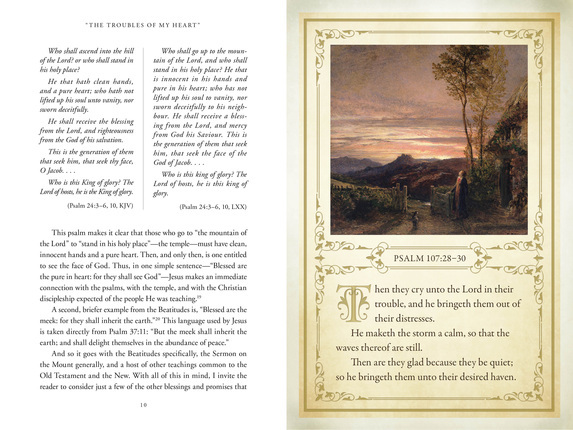 Elder Holland gives excellent commentaries to make these Psalms even more meaningful! Beautiful artwork is woven throughout the book!